Vessel arriving and Vessel Berthing – two terms widely known in marine exports and imports. What is Vessel arrival and what does vessel berthing mean in marine exports and imports? You (exporter) came to know that vessel (ship) in which your goods exported to your foreign buyer, already arrived at port of final destination. You may get next export order from the same buyer, once after taken delivery of the said shipment. So you may be keen in arrival of said goods at destination and time of taking delivery. Once after arrival of vessel at port of discharge, you may contact with the shipping line at your place to know, the date of delivery of goods by your buyer. You know, the goods are very urgently required for the buyer and he will take delivery immediately up on arrival of goods at port of discharge. However, even after 10 days of arrival of vessel, your overseas buyer has not taken delivery of goods. You have enquired the reason of delay with your buyer. He informed you that the goods arrived at port only 3 days before and goods are under customs clearance. But you received information that the vessel arrived 10 days before. Then why did the goods not arrive at port of discharge. Once again you contacted your carrier at your place and enquired about the matter. The shipping company who carries the goods confirmed you that ‘the vessel arrived port of discharge 10 days before’, however, ‘the vessel not berthed’ port of discharge to unload the goods. Here you can understand the meaning of “ship arrived”, but “ship not berthed”. The arrival of vessel at port does not mean that the ship already berthed at port to unload your goods. 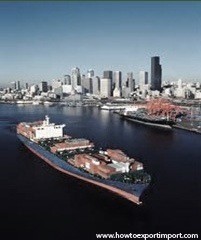 In all major ports, there are many docks to birth the vessel. However, many ships also will be there operating in each major ports. So if no docks are vacant to birth, she waits outside docks. Once vessel arrived at docks to unload the cargo, we can call vessel (ship) berthed. If more congestion is there in a port, arrived vessel may have to wait for long period to get berthed. Once after berthing of vessel, cargo will be unloaded on the yard of docks. These cargoes are moved to nearest Container Freight Stations (CFS) of carrier, where in your buyer can customs clear the cargo and taken delivery of goods. Are you satisfied with the above article about vessel berthing and vessel arrival? Please let me have your comment below this article. In this article I tried to differentiate between Vessel arrival and Vessel berthing. Do you wish to add more information about vessel berthing and vessel arriving? 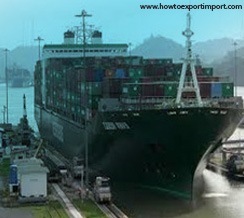 Share your experience about vessel berthing and vessel arriving in exports and imports business of international trade. Have you satisfied with this article – Difference between Vessel berthing and Vessel arriving? Comment below your thoughts on Vessel Berthing Vs .Vessel arriving. Sandeep Swargam: On 14 November 2013 I am happy to inform you that the article was simple to understand. Was cleared the actual concept. Momchil Kolev: On 07 February 2014 Helpful article for beginners, thanks a lot. Tariq Ismail: On 24 February 2014 Nice Explanation. . .
Shivaprasad shetty: On 05 March 2014 tnk frnd. It cleared my doubt. Mahamud: On 11 March 2014 Tks dear. Its a clear explanation. Swapnil Gautam: On 21 April 2014 It is nice to know this difference and indeed it is knowledgeable in International Trading. TR: On 14 November 2014 Very Clear. endian: On 02 February 2015 very well explained. Thank you. amritha: On 11 February 2015 It was a very good explanation. Used simple English. As a beginner in shipping industry, i was able to understand very easily. Mukesh: On 05 June 2015 I could exactly make out the difference between the terms Vessel arrival and Vessel Berth. Excellent explanation! Congratulations! I want to know how to renew or take self-sealing and self-certifying factory permission from Custom Authority. Is this permission port-wise or single permission for all ports? Please guide. shrilata: On 10 June 2015 very nice...helpful for all. Godwin Bategeka: On 17 December 2015 Very informative article. Blessings to you. Jezeem: On 29 March 2016 A clear explanation. Thanks. Terry: On 17 May 2016 It is very well said articles. Thank you!.. Mithu roy: On 25 August 2016 It is well defined and easy to understand. Thank you. Dickens kaunda: On 12 March 2017 thank you for your explanation,however, which comes first between the two, docking or berthing of a ship? Yash Agarwal: On 14 March 2017 Very Very Nice explanation. The language is simple & easy understnading. Bella Tang: On 23 November 2017 Thanks for your article. It's trully useful information for my job. Could you help me to make clearly my understanding, please ? After reading, I think that "vessel berthing" means the ship has berthed already at port and not unload cargo yet. "vessel arriving" means the cargo has unloaded already and put at port's warehouse. I don't sure that I understand it right, please let me know if i think wrong your explanation. Thanks you so much.